Pick Up from Nelson : 10.00a.m. Today your private wine tour begins with a visit to Te Mania Wines tasting the great range of organic wines and here they also have the World's biggest grapevine Rugby Ball which you can admire during your tastings. One of the best stops on your private wine tour is at Mapua a small fishing village located on a stunning peaceful peninsula . Here you will visit the Rimu Wine Bar with an extensive range of wines from all over the Nelson Region where you will enjoy 5 wine tastings of your choice. There are also great wood fired pizzas here to enjoy for lunch should you wish. You will have a couple of hours around the Mapua area - time to check out all the wonderful scenery and surrounding stores as well as lunch at one of the venue options. If you feel like a cleansing ale there is also the option for some Beer Tasting. 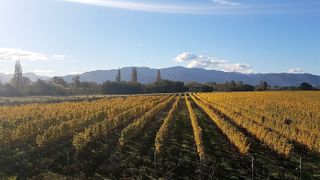 Your private tour will then take you to the boutique vineyard of Moutere Hills Vineyard nestled in a unique location surrounded by the many hops that are grown in this region for export overseas. There is locally made beer here to taste as well as the great array of wines available. If time allows we could call into Kahurangi Estate where you can taste various wines from one of the oldest vineyards in the South Island of New Zealand before making our way to the Neudorf Vineyards set in a picturesque valley between Motueka and Nelson. Here you can taste 3 wines while taking in the surrounding stunning views. We will then our way back to Nelson.